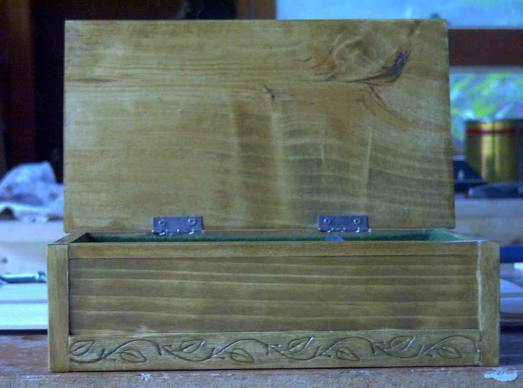 The sides were recessed to show off the legs of the table, and are flush with the inside of them. 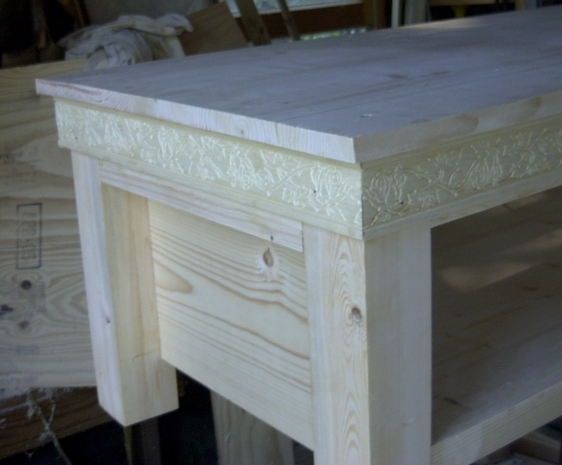 The sides expand outward at the top to support the molding and framework around the top of the table. 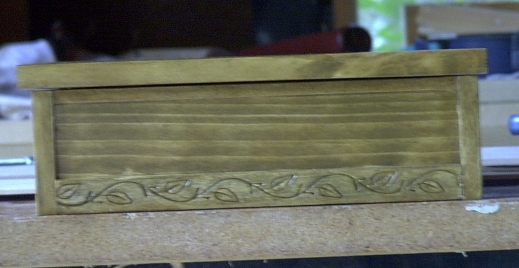 The shelf rests on cleats attached to the sides, and the front and back of the shelf has an “L” shaped bracket holding it running the length of the shelf.